You don’t need to have deep pockets to make an incredible movie. Fantastic filmmaking can be achieved for next to no money if you know what to focus on. 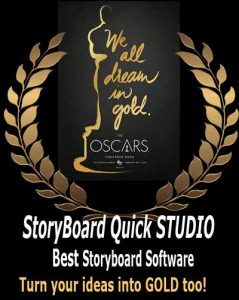 Solid pre production with great storyboards is one of the first ‘must have’ (we recommend StoryBoard Quick) for making a film. Of course, the ultimate first ‘must have’ is the script! And a good story is a must! If you have a good story, your audience won’t care about your film’s budget. First, your story must have characters with a specific goal. A specific goal that can be measured, so we can see whether or not the character achieves or fails to achieve the goal. For example, if your character’s goal is to take a trip to the store – this is a weak goal. But if the goal of your character is to get to London in time to screen their film at a Film Festival or loose their feature deal… then we have a goal that is easily measured and possibly attainable but also expensive unless you live in London (and a goal that has some time pressure = urgency, as well). Second, your story has a setting which can be usual or unusual. Including too many locations in your script will increase the budget*. *Locations – Using numerous locations can be expensive. The fewer locations your story has, the less time and money needed to move the equipment, crew and actors from place to place. But whatever you do, don’t forget the food! Third, the actions and screen positions of the main characters can say as much or more than the last element. Complex stunts and car cashes can cost money requiring stunt people/stunt drivers and picture cars. So with a great story in hand, it’s time to move on and assess more choices that will effect the budget. Picking the right camera can be done on a budget but you need to be creative. Beg, borrow or buy? 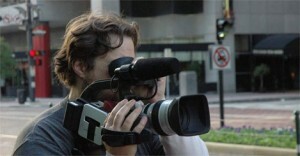 Choosing the camera that fits your script and budget is simpler than ever before. Most likely you will be shooting on a digital camera. Two elements of any camera you should look for are: compression and lenses. Remember that all digital cameras generate the same signal. What influences the image quality are the lenses you film through and the numbers of pixels per frame (compression). Good clean sound with interesting effects and the right music added in is the quickest way to make your images, even those shot on your mother’s humble video camera, look great. Caution when using music. Try using royalty free music. Licensing can be expensive! If you don’t have your plans in order when you begin a low budget production, you’ll be wasting everyone’s time and, more importantly, your money. Nothing is more disheartening than showing up to help out on a friend’s shoot only to spend an hour looking for tools you could have brought with you. Disorganization is totally preventable by advance planning. Most important, make sure everything (including equipment, food) and everybody (meaning crew, talent) shows up at the right place and on the right day and time. If this is not your best event, partner with someone who is great at organizing. -Plus, use storyboards to help you pre-plan, prepare, and pre-viz your film. AND if drawing in not one of your creative strong suits, check out StoryBoard Quick. Its a great way to start organizing a low budget project. We know that not all creative minds know how to draw. 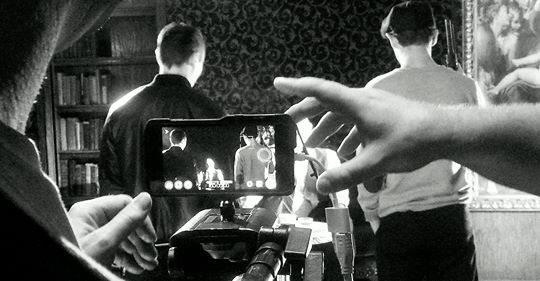 But there are other tips to help you brush up on the essentials of storytelling so you can make engaging films and videos on a budget at -courtesy of the Raindance Film Festival- website.